If you have perpetual stardust in your eyes, a replica of a celebrity engagement ring may be just the thing for you. Celebrity engagement ring inspired by Madonna. After all, it’s hard not to swoon over the celebrity engagements rings adorning the fingers of Britney, Madonna, Catherine Zeta-Jones, and all those fabulously famous others. The problem with having a replica of a celebrity engagement ring, though, might be that – besides the fact that most of the time celebrity engagement rings last way longer than celebrity engagements or marriages do – you may not think Brittany or Madonna is cool twenty years from now. I know, I know, those people are so hip and cool and stylish and chic and popular. You have every CD or movie they ever made, and you want to be just like them. And. You. Want. A. Celebrity. Engagement. Ring. NOW! You don’t have to yell. But you really want to consider the fact that most celebrity engagement rings are designed by extremely famous jewelry designers like Harry Winston. 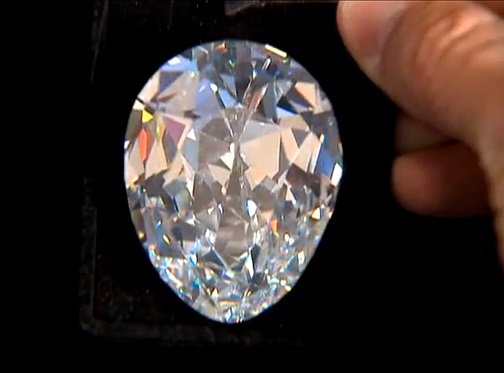 And they cost gazillions of dollars as do the other insanely huge diamonds found here. Sure, you can find a knock off, but a gazillion dollar celebrity engagement ring by ol’ Harry can only be a gazillion dollar celebrity engagement ring by ol’ Harry. Even if the design is the same, the metals and jewels won’t be. Unless you spend a gazillion dollars. Now, there’s no reason to cry. Relax. You can get extremely nice replicas of celebrity engagement rings, like Madonna’s Edwardian-style 3-stone engagement ring featured above, or the range below at emitations.com. Just look at this range of look-alikes of other celebrity engagement rings at prices you won’t believe from emitations.com. So put away the tissue and get busy. You have work to do, tracking down a jeweler who has, or will design, the celebrity engagement ring you just have to have. NOW!